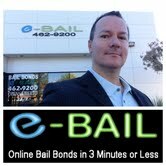 eBAIL provides Fast, Cheap, No Money Down, Online Bail Bonds in Henderson 24/7. Also serving Zero Down Bail Bonds in Las Vegas, North Las Vegas, Boulder City, and Nationwide. Call 702-462-9200 right now for immediate help in getting someone out of the jail with LITTLE OR NO MONEY DOWN and EASY PAYMENTS for Henderson Bail Bonds. Ask about our “Bail Bonds Henderson Near Me” service where we can come to you. Hi, my name is Marc Gabriel and I can help you get your friends or loved ones out of jail with a Henderson Bail Bond. A Bail Bond is like a check that I write for the full amount of the Bail as required by the Henderson jail or court. I make this process very fast, cheap, simple and very affordable through easy payments, so please call me 24/7 with ANY questions regarding Henderson Bail Bonds, next court dates, case information or anything else, there is never an obligation…..
eBAIL is licensed by the NV Department of Insurance and accredited by the Better Business Bureau to post bail bonds at the courts and jail in the City of Henderson. We are conveniently located at 3100 E. Charleston Suite 108, right off 95 and Charleston just about 10 minutes from the Henderson Detention Center. If you are in need for Henderson Bail Bonds don’t gamble on just any Bail Bonds Company that is in a run-down office in a scary part of town. eBAIL is the premier Henderson Bail Bonds Company that is trusted by the best Attorneys in town. If you have questions – we have the answers – call 702-462-9200 24/7 and our friendly staff will answer all your questions. The Henderson Nevada jail is located at 18 Basic Road, right behind the courthouse on the corner of Water Street and Basic Road. For most individuals, the experience of being arrested can be unsettling. Friends or family members are seeking to discover the quickest way to secure bail and this can be found with eBAIL a local Henderson Bail Bonds company. What happens to my friend or loved one being arrested? Your friend or loved one just got arrested somewhere in Henderson, because the authorities are accusing them of a crime. The best thing to do at this time is to exercise their Miranda rights of staying quiet. Once the police have the cuffs on they are going to jail and their innocence or guilt does not matter at this time. They will be transported to and processed into the Henderson Detention Center. Staying calm, being courteous and respectful to the officers and staff will go a long way. What happens in Henderson Jail? Once transported to the Henderson Detention Center they will be booked in which could take up to 4 hours. Your friend or loved one will not show up to be an inmate until the booking in process is completed. Your best option is to contact eBAIL at 702-462-9200 right now to be put on the inmate watch list. eBAIL will immediately find your friend or loved one in any jail. Once the booking in process is completed bail bonds information, charges and next court date will be available. What are my options to help? The bail bonds option is the fastest way to get out of jail now. 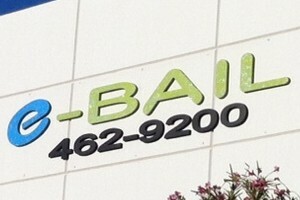 Call eBAIL at 702-462-9200 right now and Henderson Bail Bonds can be posted within 20 minutes. A bail bond is like a check for the full amount of the bail. This check is given to the court or jail as a guarantee that the defendant will come back to court and handle their business. A reputable Henderson Bail Bonds Company such as eBAIL should be hired to perform the bail bonds so that your friend or loved one can get out fast. The other option is for the inmate to wait until the court date which is usually within 48 hours after being arrested. This is not such a favorable option since your friend or loved one will lose their job and time with their family. On the court date, the judge can either release the inmate, raise – lower or keep the bail bond amount the same. Usually, Henderson Judges don’t do anything and keep the bail bond amounts the same. Waiting until the court date will almost always cost waiting the 48 hours since they will not be released and now have to post bail bonds anyways to get out. Do not have your friend or loved one waste their time by waiting until the court date, bail them out now. The last and sometimes the harshest option is to leave your friend or loved one in jail. You do not have to do anything since the justice system will take its course. If you want to, you can visit the inmate in jail, write them letters or put money on their books. The jails that accept our bail bonds? Henderson jail is the only detention facility in Clark County that has specific release times which are: 3 am, 10 am and 9 pm. If you choose to use eBAIL as your Henderson Bail Bonds Company – your bonds will be posted fast usually within 15 minutes of completing the bail process. The Henderson Jail requires the bail bonds to be posted at least 1.5 hours prior to the next release time in order to be released. 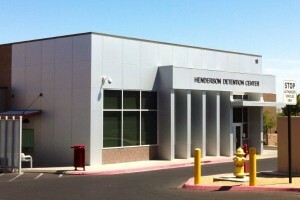 The release area is to the right of the Henderson Jail on 18 Basic Road. There is a waiting area where you can wait for your friend or loved one being released. With eBAIL you are no longer required to visit store locations since you can simply go online by visiting eBAIL BONDS and secure the funds required with a major credit card and also by phone by calling 702-462-9200 anytime. eBAIL’s location is so conveniently located off the 95 freeway and Charleston Boulevard, just minutes from the Henderson Detention Center, that we encourage you to visit our beautiful office at 3100 E. Charleston Suite 108. Our friendly staff is available 24 hours a day to answer all your questions regarding bail bonds in Henderson. For your urgent bail bond needs don’t just gamble on any run down looking Henderson Bail Bonds Company in a scary part of town, hire eBAIL. The best attorneys in town trust in our fast, professional and confidential service. You will be happy, guaranteed! Availability – 24/7 Bail Bonds Henderson. Any time any day! Trust – Top attorneys in Henderson trust in referring clients to us. If you want to find your friend or loved one yourself in the Henderson jail, get Henderson Bail Bonds information, charges as well as next court date call 702-462-9200 or try eBAIL’s Henderson Jail Inmate Search Tool.